Relaxing in the Spa watching your favourite program. Married at First Sight, Friday night Footy, whatever it is….. Watching it whilst relaxing outside in your Spa is as good as it gets. 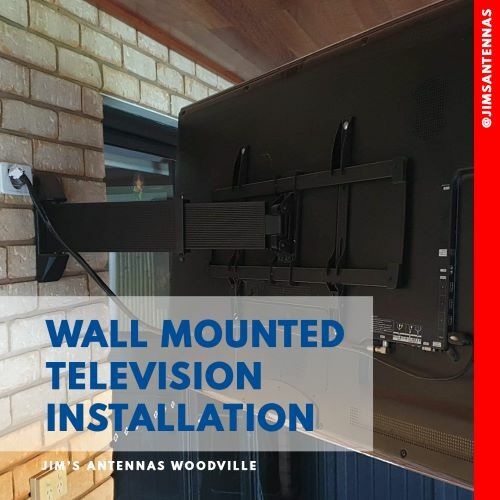 Jim’s Antennas have recently wall mounted a TV for a client in Woodville. TV wall mounted on an articulated bracket so the TV can be moved to point in different directions. Outside entertainment just got a whole lot better. Jim’s Antennas ph 131 546. Matt from Jims Antennas Moana was called to help a customer who was experiencing a variety of picture problems on all of the TV sets in her home.